The Integrated Land Use and Development master Plan for GPNRS was officially approved by the Gambella Peoples National Regional State (GPNRS) council. In accordance with the MoU and the Common Framework of Engagement (CFE) signed among the Ministry of Agriculture, Ethiopian Wildlife Conservation Authority and HoA-REC&N, the three facilitating institutions, (i.e. both the Federal and Regional Steering and Technical Committees) have been mandated to evaluate and approve the ILDP outputs in the different stages of the planning processes. The event began with a brief introductory note by Dr. Mekuria Argaw. 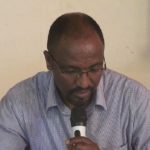 Dr. Mekuria , underscored that the HoA-REC&N, as a regional centre, focusing on environmental concerns and sustainable development options within the Horn of Africa, was engaged in the ILDP process since 2013- 2014 to present. 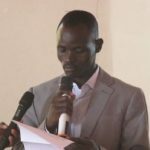 In his welcoming speech, Dr. Lou Obup, Head of Gambella Bureau of Agriculture, said in spite of Gambella’s rich natural resource base and potential for development, the region has remained one of the least developed and most food-insecure in the country. Dr. Lou pointed out that in order to address the intertwined problems and bring forth sustainable development, the GPNRS requested the HoA-REC&N and its allies to develop a Land Use and Development Master Plan for the region that considers both developmental objectives and environmental concerns. He explained that after four years of fervent effort of all stakeholders the ILDP planning process reached to its remarkable stage decorated with major achievements, and he congratulated all who have been involved right from the beginning, welcomed the participants, and cordially invited H.E. Ato Omud Ojulu, President of GPNRS, to make an opening statement and to officially open the workshop. 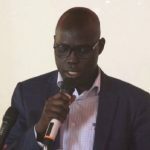 In his opening statement, Ato Omud Ojulu, President of GPNRS,briefly explained the historical background of the ILDP initiative and mentioned that despite its enormous natural resources, the region remained as one of the underdeveloped regional states. Although there has been a remarkable move towards promoting investment in the region over the last decade, there has been a challenge to gain the expected outcomes mainly due to e absence of proper Land Use Master Plan that guides the proper allocation and management of land for optimum utilization towards bringing sustainable development in region. Finally the President, on behalf of his council and the people of the GPNRS, congratulated all who have been engaged in the various segments of the ILDP planning process and its successful completion. He mentioned the remarkable role of HoA-REC&N-AAU in coordinating and facilitating the ILDP planning process since its commencement in 2013-14. Ato Omud acknowledged the assistance and direction given by the Ministry of Agriculture, the FSC and FTC and other relevant federal level sector offices, the local community and the sector office experts in the region. He expressed his deep and special gratitude to Dr. Azene Bekele for his dedication and remarkable professional experience and guidance to bring the ILDP into reality. The President reminded the participants to fully attend and participate in the workshop and he finally declared that the workshop officially open. A general remark on the ILDP progress and the purpose of the workshop was briefly forwarded by Ato Tigistu G/Meskel, Director of RLA&U Directorate of the Ministry of Agriculture,, and who represented the Ministry. 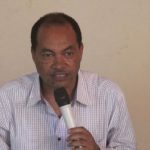 Ato Tigistu, of MoA, who co-chaired the discussion section, remarked that government commitment is important, and it would require the government to become catalysts for change. This requisite enhancement of the capacity of Government officials to address development challenges. He drew particular attention to the need to institutionalizing the planning, plan updating and regulating the ILDP and the sharing of innovative approaches and practices relevant to local context. Chaired by H.E. President Ato Omod Ojulu, the workshop continued with Dr. Azene’s presentation on general planning process overview as an introduction.